Fixed-Back Seat and OEM Belts? M3 Track: Racing and DE Best mod for speed is learning to get the most out of what you currently have. Tracks and DE's is the place to start! Yes, the Quick fits have ASM built-in, and they are DOT approved. For that matter, the regular Scroth Rally 4 has ASM built in. The ASM has to do with submarining, which is entirely different than the problem/concern with not having a bar in the car and wearing a harness (being held upright and therefore subject to compressive injuries). ASM does absolutely nothing to prevent the kind of injury clubs/people are concerned about regarding a harness in a non-barred car. In any case, the -friend- (hard to even call him a friend, I knew him) was using a Scroth Rally-4, ASM equipped. It held him upright and he broke his neck when the roof came in. In that instance, submarining would have helped him. I prefer the -pretension seatbelt lock- then slide teh seat forward method to a CG, as it gets the shoulder strap tight too. Right now, that's where I'm at. the real problem is, if I put a recliner in the car, I'll feel like I should put in two (as it's not -serious- enough to warrant pulling in and out). And, quick frankly, outlaying a few grand for a pair of leather sportsters isn't thrilling...haha. Wow, sorry to hear about your loss. That is indeed a worst case scenario. Are you guys running your stock 3 points over the thigh bolsters or through the side cutouts? Because you shouldn't run them over the bolsters, which is probably why some of you have space. You need to run them through the belt cutouts on the sides, especially the female belt receptacle. I run the left side through the cutout in my PPs, but it is downright impossible to run the receptacle through the cutout on the right side. The receptacle ends up digging into your hip area because of the snugness of the seats. Perhaps it different with other brands though. Even while running it over the bolster on the right side, the belt is snug against my waist and chest. Why don't you order a receptacle with the longer tail? I would assume you value the safety of having the 3 points work the way they were designed to. Have you ever seen how much a body can move in an impact when the seat belt is setup correctly? Even in Grand Am racing, where they run 6 point belts, right side nets and window nets, is requiring for 2009 that every car now runs a left side net in addition to the window net. That's how much the body can move in an impact. Once you realize how much you can move, I hope you make it a priority to get the OEM belts functioning the way they were designed to. I used the CG lock and I thought it worked real well. 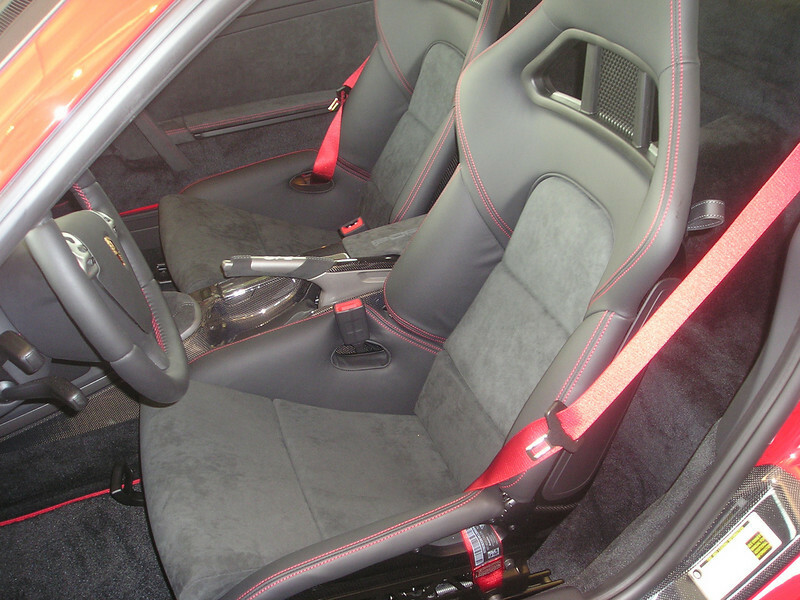 I've been very pleased with my Schroth quick fit belts. If the roof collapses enough that you end up with a spinal injury with them, it would've happened with the stock 3 points as well. Unfortunately everything is a compromise. You either keep the stock seats and run the schroths or you get a complete rollbar, fixed back seats and 6 point harnesses. I definitely value safety and I've been somewhat concerned about it since installing the seats. If I had known that I could rig my receptacle to come through the cutout without it smashing my hip, I would have done it a long time ago. Do you have any links to where I can find the extended receptacle? if ur running fixed back seats, run a rear roll bar. uve already eliminated the rear seating. why stop there? is ur life that unimportant? safety is the ultimate modification. Fixed-back seat = non-reclining racing seats. The back seats are still in the car. All times are GMT. The time now is 08:12:40 AM.